Updated Jan. 4 with information about the preliminary three-day event at Southern 8ths Farm. Updated Jan. 5 with information about the Live Oak International CIC***. With a new year comes a new calendar for eventing, and there have been a few notable changes to the U.S. Eventing Association’s 2018 omnibus and the Fédération Equestre Internationale calendar in North America. Upper-level riders will not have the Pine Top CIC*** as a qualifier anymore as farm owners Glenn and Janet Wilson decided to drop the division due to waning entries. The CIC** and CIC* and an advanced division will continue to run, Feb. 22-25 in Thomson, Georgia. Pine Top Horse Trials will no longer host a CIC***. Photo by Lindsay Berreth. But with the loss of one three-star comes the addition of two others. Bromont will host a CIC***, CIC** and CIC** on Aug. 18-19 in Bromont, Quebec, taking over the dates previously held by Richland Park (Michigan). The U.S. Eventing Team may use the event for a final preparatory run before the FEI World Equestrian Games, according to new USEF High Performance Director Erik Duvander. The Stable View Advanced Oktoberfest Horse Trials in Aiken, South Carolina, has added a CIC***, CIC** and CIC* to their event, held Sept. 28-30. The CIC is part of a three-year strategy for Stable View Farm owners Barry and Cyndy Olliffs. The event ran its first advanced in 2016 and in 2017 offered all levels from beginner novice through advanced, including $65,000 in total prize money. “We’ve had phenomenal support at the upper levels for this particular event, and we just thought it was the natural progression for Stable View,” said event organizer Anne Dearborn. Mark Phillips will return as cross-country course designer, setting a new course for the lower levels. “Mark Phillips has built some beautiful, old iconic cross-country fences—the elephant trap, the flying cross. We have three water obstacles on course now with a fourth one being added,” Dearborn added. Area II eventers lost the Five Points Horse Trials last year, but organizer Marc Donovan said the event is back this year and will run as a one-day Sept. 8 in Raeford, North Carolina. Seventeen events will run the modified level this year, up from just three last year. Jumps are set at 3’5”. 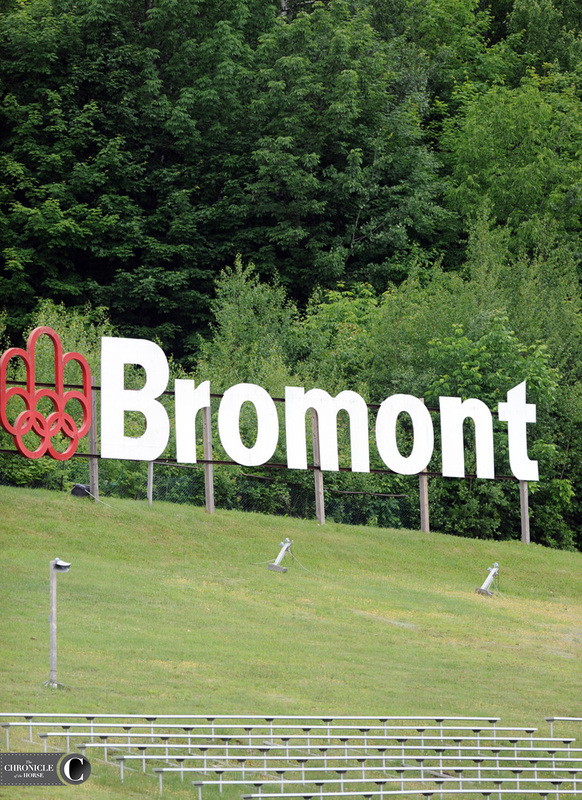 Bromont will host a CIC in August. Photo by Lindsay Berreth. Jan Byyny will not be hosting a fall event at her Surefire Farm in Purcellville, Virginia, but the June 22-24 event will still take place for Area II riders. Byyny said taking the one year off won’t put them in danger of losing the date. “We’re going to see what transpires with the calendar,” she said. “We have to close our schooling the week after the June date, because after you have people running on the courses it kills the footing. It’s a lot of things that I think people don’t realize. Tom works on that footing all the time. He’s constantly seeding and fertilizing. “We have some different ideas for the farm this year, like maybe doing some competitions that are show jumping and cross-country or dressage and cross-country—doing more schooling shows for people to get more practice, or maybe have clinics at the farm,” she continued. 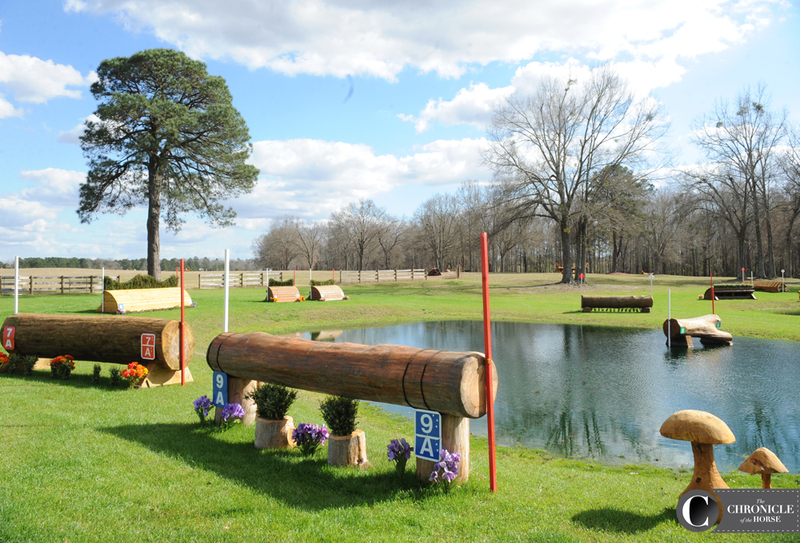 The Heart Of The Carolinas Three-Day Event and Horse Trials, held May 3-6 in Chesterfield, S.C., has hosted long format competition for beginner novice, novice and training level competitors for eight years, and this year they’ll add a preliminary three-day. The event will also host horse trials competitors from beginner novice through prelim, including the new modified division, which they also hosted for the first time last year. The Hagyard MidSouth Three-Day Event (Ky.) is the only other event in the country to offer a preliminary long format. “Brad Turley, the owner of Southern 8ths Farm, is very passionate about the long format. Cindy DePorter, the co-organizer, and myself echo that passion and the education and horsemanship that comes with competing in a classic three-day event,” said co-organizer Leslie Threlkeld. The event has hosted a preliminary combined test the last couple of years, so they’re hoping the addition of the preliminary horse trials division and three-day event will meet competitors. They’d also like to add a modified three-day division in the future. John Michael Durr will design the cross-country courses, and the event will be participating in the Carolina Eventing Challenge in cooperation with the Longleaf Pine Horse Trials (N.C.) and the Southern Pines Horse Trials (N.C.). 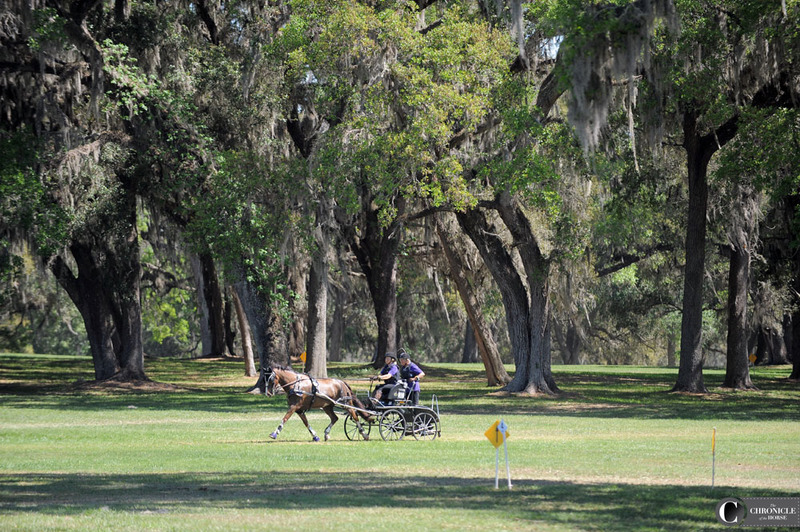 The Live Oak International will not host a CIC*** this year. Photo by Ann Glavan. The idea for the Live Oak International CIC*** was conceived a few years ago, and while it was listed to be held in Ocala, Florida, on March 17-18, it’s now been canceled. International four-in-hand driver Chester Weber, who hosts the Live Oak International show jumping and driving event at his farm, said he was unable to secure sponsorship for the eventing this year, but hopes to host the event in the future. Course designer Rüdiger Schwarz, who’s designed the Aachen CICO*** (Germany) has mapped out a course, and some fences have been built. Weber’s hope is to integrate the cross-country course and the driving marathon course closely.